Bangladesh Bank (BB) is set to file a lawsuit with a New York (NY) court by this month (January) over the reserve heist issue of the central bank, said Finance Minister AHM Mustafa Kamal. He said: "We are making all-out preparations for filing the case in order to recover the whole money heisted from the central bank’s account with Federal Reserve Bank of New York. "The case will be filed within this month. A Bangladeshi lawyer and a lawyer from the USA are looking after the matter," he added. However, the final decision against whom the case will be filed is yet to be taken, he further said. "Two lawyers will take decision who will be the defendant and who will be the plaintiff in the case." 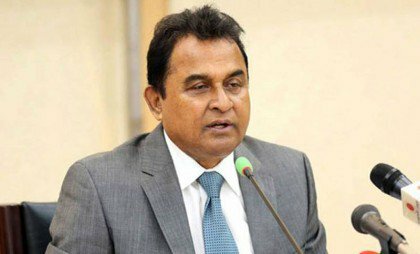 The minister was talking to journalists after a meeting with the officials of Financial Institutions Division and Bangladesh Bank on BB’s reserve heist at the Finance Ministry today. Earlier, hackers stole a total $101 million from Bangladesh’s account at the New York Fed in February 2016. "The case will be filed within this month. A Bangladeshi lawyer and a lawyer from the USA are looking after the matter," he added.